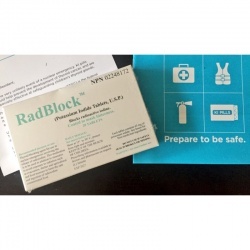 For use in nuclear emergencies involving the release of radioiodine. 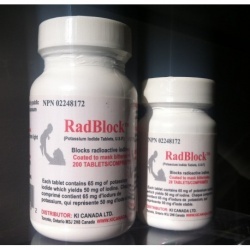 This medication is to be used in addition to measures to avoid exposure to radiation, such as evacuation,shelter,and agriculture and food measures to limit the sale and ingestion of radioiodine contaminated food. 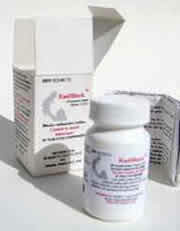 10 boxes ofRADBLOCK 60 6 foil wrapped strips of 10 65MG SCORED COATED TABLETS IN BLISTER PACK in each box.